Compilers and computer-aided design tools will be essential for quantum computing. 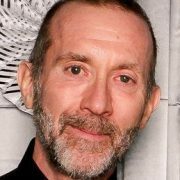 At this event, Dave Wecker will present a computer-aided design flow, called LIQUi|⟩, which transforms a high-level language program, representing a quantum algorithm, into a technology-specific implementation. He’ll trace the significant steps in this flow and illustrate the transformations to the representation of the quantum program. Dave will also describe, in detail, the low-level quantum language and the quantum simulator within this design flow. LIQUi|⟩ is an attempt to remedy many of the difficulties in quantum programming and simulation (namely difficulties in debugging, visualization, and exponential growth in memory), as well as make it possible for a wider audience to design, implement, and test quantum algorithms. It provides a functional language (based on F#) that is efficient for programming and allows a combination of classical and quantum operations. In addition, this advanced memory model allows simulation of a large numbers of qubits, and also uses parallel hardware for processing efficiency. Dave will demonstrate the capabilities of LIQUi|⋅⟩ and simulate several quantum algorithms. Shor’s algorithm has been fully implemented in LIQUi|⋅⟩; we can factor numbers from 15 to 8189 on a standard desktop and display the corresponding circuit diagrams. Dave Wecker came to Microsoft in 1995 and helped create the “Blender” (digital video post-production facility). He designed and started implementing a Broadband MSN offering when he was asked to join the new CE group where he was architect for the Handheld PC v1 & v2 as well as AutoPC v1 and Pocket PC v1 (he was also development manager). He moved to Intelligent Interface Technology and resurrected SHRDLU for Natural Language research as well as building a state of the art Neural Network based Speech Recognition system. He was then asked to come back to CE to manage Synch and Wireless efforts. He worked on next gen technologies for the Mobile Devices Division before moving to e-books where he implemented secure DRM on Pocket PCs (the “black-box”). He created and was director of ePeriodicals before taking on the role of Architect for Emerging Technologies. In this role he had many responsibilities including getting the GM/MSFT relationship off the ground. He worked for the Mobile Platforms Division as an architect and then transferred to Machine Learning Incubation. As architect of the Parallel Computing Technology Strategy team he solved several Big Data problems and now is focusing on Quantum Computing. He has over 20 patents for Microsoft and 9 Ship-It awards. He started coding professionally in 1973, worked in the AI labs at CMU while obtaining a BSEE and MSIA and was at DEC for 13 years (ask him about DIDDLY sometime ;).